Where to find bread on the yeast free diet is one of the most common questions I receive. Since many people who are yeast free also have a gluten intolerance, I wanted to post a recipe for a gluten free flour mix to go along with an easy yeast free bread recipe. Check it out and let me know what you think in the comments or by sharing it with your gluten free friends! Combine all ingredients in a large mixing bowl. Use a large whisk to thoroughly blend the flours. Store in a container with a tight fitting lid, or in a large Ziploc freezer bag in the freezer. Preheat the oven to 450 degrees. Combine the flour, baking powder and salt in a large bowl, and mix well. Separate the eggs. Beat the whites to stiff peaks that are still a bit soft, and reserve. Add the yolks to the 1-1/2 cups water and mix well. Add the guar gum to the egg and water mixture, and use an electric mixer to blend until smooth. The mixture will thicken quickly, due to the guar gum. Gradually add the wet mixture to the dry ingredients. Add up to 1/2 additional cup of distilled water, if needed. When the mixture is smooth, gently fold in the beaten egg whites. Grease and flour a 9″ x 5″ loaf pan. Use cold pressed olive oil and a couple of tablespoons of the flour mix. Pour the batter into the prepared pan. Bake for about 45 to 50 minutes, on the middle oven rack, or until a skewer or toothpick comes out fairly clean, but it may have a few crumbs clinging. Cool in pan on a rack for about 20 minutes. Then remove from pan and leave on rack until completely cool. Baking yeast free and gluten free is challenging but not impossible. Please let me know what you think of the yeast free, gluten free bread recipe by posting a comment below. For more AWESOME recipes to help you stay healthy and avoid yeast and gluten check out The Candida Diet Cookbook today! I am going to try this recipe. I need to purchase some of the ingredients first and then I will let you know how it turns out. I would like to try this, but I’m wondering if anyone knows what it is best to replace the rice and millet flours with. I am not gluten intolerant but cannot have wheat, rice, millet, yeast, sugar, etc. etc. Lots of fun, I know. I will try this and would be very tempted to make it without Rice flour but will if that will help you the most. I use sorghum with success and use garbonzo/fava with great success. Could I use any sub. or would you rather I use it as the recipe calls. Let me know by email if you really don’t want any substituions to this. Just made a great yeast-free almond flour bread. Been making alot of sugar free, dairy free wheat/glutten free fun things with almond and coconut flours. (but only use the nut flours for special things.) Is your cookbook coming out in hardcopy, would really be interested in that. more about the buckwheat and millet, because in most candida diet they are not allowed. Hi Mike – I tend to rely on The Yeast Connection Cookbook by Dr. William Crook. In it he lists both of these however some people still have a sensitivity to them so you will have to substitute for another flour if that is an issue for you. Just replace it with either sorghum or buckwheat or maybe chickpeas-bean flour? When baking, I sometimes substitute ground almond meal for some of the flour. I haven’t tried it with sandwich bread; only cakes, muffins, and sweet breads. Hi Whitney – I was pretty excited about the bread but i’m alergic to egg whites. I’m doing so well on being yeast free but boy, if i have something that has sugar in in, my tummy hurts. I had watermelon and maybe it’s not on the list of ok foods. I need to read everything again. Im going to try this recipe with egg replacer as I’m allergic to eggs. I usually use an orgran bread mix as it has a yeast free option and this works fine. I also use their pizza and pastry mix as again it’s yeast free. Going to try it first with rice flour but again I limit rice due to allergy but allow it on rotation, if I react will replace probably with gram flour. I am so excited to get an email from you, Anyway, I am wondering, what in the world is Guar Gum. It sounds awful and was wondering where I would find it. Is Sorghum Flour a type of molasses by product? I am off the diet right now and suffering terribly so am trying to get back on it but as everyone say’s, it’s the bread that does me in, so I need a really good bread receipe and I feel I could do this diet in a snap. Anyway, thanks again for contacting me and hope to hear from you soon. Hi Whitney, curious, the recipe sounds great as we really miss bread, however, their doesn’t seem to be any fiber in this recipe. Do you think we could take 1/3 c of flour out and add 1/3 cup ground flaxseed? I am inquiring about yeast extract and a label that states there is less than 2% sugar and deyhdrated cane sugar. Do I ignore these labels or avoid them. Thanks for any info you can give me and I hope to hear from you soon. Hi Pat! 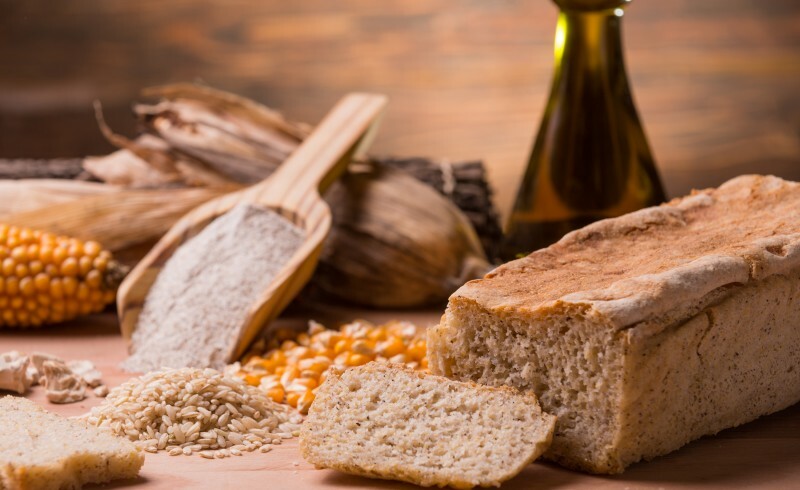 On the yeast free diet you want to avoid all forms of yeast as well as sugar sweeteners so yes I would definitely avoid those items to stay on track with the diet. Blessings. I’ve been experimenting with recipes using items suggested as ideal for me, for the Candida diet. I’d like to share them as they’re pretty good. And it would be fun to hear others’ recipes too, after you’ve screened them. Pancakes: 3/4 cup brown rice flour, 1/4 mixture of coconut and almond flour, 1 Tablespoons flax meal, 1/2 tsp. aluminum free baking powder, 1 egg, 1/4 cup yogurt, 1/2 cup water. Fry on med-low heat with a little cold pressed coconut oil. Top with almond butter and/or cashew butter. Sounds delicious – thanks for sharing Renee!!! Here’s a recipe for white sauce. Great on grean beans. Put in blender: 8 cloves of roasted garlic, water, cottage cheese, and a little salt. Make it as creamy as you like. The garlic I roasted in coconut oil in oven at 300 degrees until soft. Wow! I’m amazed by the options. I’ve recently been diagnosed with Fibromyalgia, and over ten years ago Narcolepsy, and I’ve been extremely angry and frustrated with the lack of compassion from doctors, and lack of understanding from peers. I’ve decided to attempt a New Life Diet in the new year, starting with giving up gluten and yeast. Planning to buy a breadmaker and beginning my journey there. Do you have any advice for a first timer? Hopefully I will find days that I am strong enough and awake enough to follow a recipe from beginning to end, so I find the simpler the better, as in my case I do not have the stamina to complete some tasks. Hi ADB! Excellent job getting together a plan and tackling it – generally that is the hardest part. Sorry to hear about your struggles but there are lots of options for yeast free / gluten free eating. My best advice is to plan ahead and don’t let yourself get hungry before trying to think about what to eat. If you have your meals planned in advance and can stay on schedule it makes everything much easier. An acquaintance of mine has been telling me for years of her suspicions that I am gluten & yeast intolerant. She is very knowledgeable of the subject and all that she told me made sense. I recently went on a strict vegetable, fruit, beans, tofu diet for a while and felt sooooo rejuvenated and clean within. I decided to purchase your e-book and give this yeast free candida diet a try and am very excited to do so. I live in southern california with not much access to many health food stores. I was able to find a handful of the flours you use, but am not having much luck with the rest. Is there a website that you could suggest or store that you know of that ships these types of ingredients? Many of the ingredients you use are foreign to me but I’m more than willing to start the adventure of getting to know them better and building a better relationship with them for the sake of my body functioning at its capabilities. Hi Desiree! Most health food stores have a wide range of flours to choose from. Alternatively you can find them online at amazon.com or other outlets. Glad you are seeing such great results so far! Thanks for all your work in helping us with our yeast and gluten problems. You are a great help. Is there anything that can be used instead of guar gum? As of yet I can’t fine Sorghum flour. Would you suggest just using extra of the other flours? Hi Elaine! Thanks for the note! You can find any of the ingredients on Amazon.com if you have trouble finding them locally. If you do change up the ingredients you just may have to play with the quantities a bit and see how it turns out. Keep Up The Good Work for us Yeast and Gluten Problem people..
Would this work for the chicken pot pie crust in your cookbook? It is one of the recipes my husband misses the most since we went gluten free. We are trying the egg replacer too as my daughter is allergic to eggs. Thanks! My diet is pretty much grill chicken salad with oil and vinegar. Is your cook book includes gluten free? On top of candida, I’m allergic to wheat, white flour, egg white, amaranth, nuts, and handfull of other. Kathy – the cookbook has many recipes that are gluten free but wasn’t written as a gluten free cookbook. You can pretty easily substitute the gluten free flour mix for any recipes that call for flour and make substitutions for any items you have sensitivities to based on your specific needs. I also have a 2 week money back guarantee so you can check it out and make some meals to ensure it will meet your needs. Hope that helps! I tried the recipe with egg replacer. It turned out okay, but the batter was much too thick and I was a little too nervous to add more than 1/2 cup extra water. I think it needs another liquid if eggs aren’t used. I should have said this earlier, but I wanted to respond to Kathy. I have a huge laundry list of food allergies and this is one of the only cookbooks I can use. I still have to be a little creative and substituting rice noodles, Spectrum spread shortening, and egg replacer gets me pretty far. Living Without is a great magazine for people with food allergies and all recipes are gluten free. Tried this recipe and found it crumbled and fell apart. I noticed no oil was used. Angelique, you should look into the “Feel Good Cookbook” by Jonell Francis. Try looking at her website also. 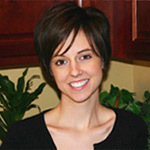 Jonell had fibromyalgia and could help you tons! I was greatly helped by her knowledge and experience when I was nursing my little boy who was scratching himself to death. Look into it. It will reduce your recovery time in a big way! Thank you for sharing this interesting and informative post. I’ll be looking forward for your other posts as well. Keep it up! Nice post! I’m so glad to get to visit this site. gluten free sandwich bread are perfect for Gluten intolerant diets. Recently tests show issues with yeast, almonds, wheat, eggs, beans, mushrooms and shellfish. Now what…. I knew I was allergic to egg yolks, but now have to give up whites as well. Lactose intolerant – so used unsweetened almond milk and love almonds. A lot of things recommended as substitutes not available in my locale. Well, I made this recipe today and tried to make a sandwhich out of it. The bread fell apart. It was very earthy tasting. I will try something other than buckwheat the next time. Hi. I have just been tested for food intolerances so I am a newbie at this. I can’t have gluten, millet, corn, oats, amaranth, yeast or any fermented foods, citric acid, soy, or rice. Almonds, coconut, and dairy are out too. I need a bread substitute but I am at a loss as to what to do. Could I use Glucomannan (Konjak root) instead of the Guar gum? Baking powder has corn starch in it. Would baking soda be okay to use instead? What could I substitute for the rice flours and millet? Everything else in the recipe will work okay. Any suggestions will be helpful. Thanks! I would love to make this! Unfortunately, we are super strapped at the moment. If you’ve got any other recipes that don’t require a bunch of specialty flours, I’d love to have them. We’re trying to go gluten-free, yeast-free, dairy-free, sugar/sugar sub-free, etc. Hope to try this someday but can’t currently afford to buy all these flours. Thanks! Happy New Year!